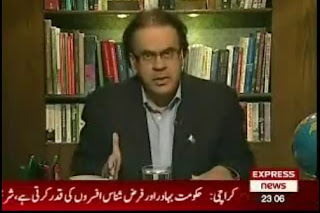 Brave Journalist Dr Shahid Masood Also Fired from Express News. In the past he was forces to leave other News channels as well for speaking the truth like Geo and Ary. Now he is forced to leave Express News where he was doing a famous Show Shahid Nama.